It’s hard not to see watercolor textures everywhere these days! And it makes sense why – they’re beautiful and add such a personal, handmade touch to anything they’re on. That’s why in this week’s tutorial, I’m pairing them with my favorite thing – typography. 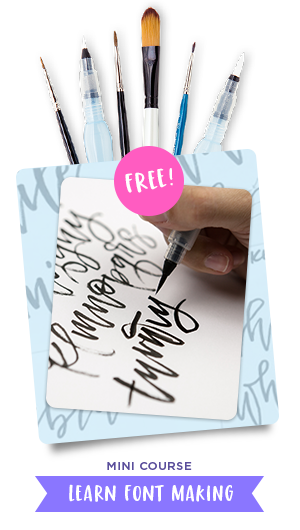 The same rules apply if you’d like to add watercolor textures to hand lettering, too for an even greater handmade look. As a bonus, I’m including 3 free high res watercolor textures so you can play around with your own type or hand lettering. Let’s get started! Pick up the paper texture pattern used in the tutorial here, called ‘concrete’. Looking for more watercolor goodness? Check out Watercolor Texture Kit Vol. 2 and Watercolor Texture Kit Vol. 3! I was wondering if I need to switch the colour mode from RGB to CMYK if I’m only printing on a consumer level printer? Usually (when artwork is very vibrant) converting to CMYK reduces the vibrancy of the artwork since printer ink is unable to get in that range – this guarantees a closer match to what you see on screen when you print. If it’s your home printer, feel free to try both, though I would suspect (for these textures) converting to cmyk would be best. Beautiful work. I just found you, I honestly don’t remember which rabbit trail I used to find you, but thankful I did. The tutorials are so simple to follow because of the way you communicate. Teela I just found you and boy am I THRILLED that I did!!! Your site is AWESOME and Tutorials are TERRIFIC!! You are an EXCELLENT teacher! I even ran over and enrolled in you Slillshare class “Get Inked!” and I am looking for more. I have learned SO MUCH NEW stuff just today!! I am a newbie to graphic design and cant get enough of learning. It is SO FUN!! I just LOVE it! I i do have a question about this Watercolor tutorial. I am using Illustrator CC. When I was doing the first step I did not see the Pattern Overlay option in my Layers pop up box. Is this because CC does not offer that feature? I’m so glad you found me too! I’m so happy to hear everything has been helpful so far, and thanks for taking the skillshare class! 🙂 I don’t have CC at home, so I’ll check with one of my coworkers at work who has CC tomorrow and get back to you! I checked Photoshop CC out at work and there was a pattern overlay option showing up in the layer styles window – here’s a screenshot I had my coworker take. Not sure why it’s not showing up for you? Hey Gretchen! In Photoshop CC, there’s a little icon at the bottom left of the layer styles window that says “fx.” If you don’t have a Pattern Overlay effect in your list currently, when you click that “fx” icon it will open a drop-down of different effects and you should see Pattern Overlay hiding in there! Thank you so much for your kind words! It really means so much to hear feedback like this 🙂 I totally get what you mean – teaching myself has always been the best way to retain the info too, so I always try to make tutorials for someone similar in mind. Happy to have you here! Hey Monique! Thanks for checking out the tutorial! Sounds like you might not be clicking on the right layer for the clipping mask – try this: with your texture on the layer right above your type, (left) click on the texture layer so it’s selected (there’ll be a shade of blue on the layer in the layers panel). Next, right click on that layer (but not on the little image next to the layer’s name) and you should see ‘create clipping mask’ now. Let me know if you’re still having trouble – hope that helps! Hi, Teela!! Thank you so much for sharing your talent with us here on the internet, I just happened to find you today and I’m already following you on every social media haha! please, what would the password be? Thank you and Congratulations, again! Hey Fernanda! I’m so glad you found me! I don’t have passwords on any of my freebies, so it’s probably a security setting you have on your computer for downloaded content. I would check your settings, or if you know of a password for your own computer, try that. So sorry you’re having trouble! Hey, Teela, thanks for answering so fast! Maybe it’s that, I’ll check on that now, thank you! YOU ROCK. Thank you!! I just started a little stationery side project using my handmade watercolors and have been struggling trying to figure out how to maintain the quality of the paint once I digitize. Often my images get pixelated and lose some of the handmade quality. Any suggestions for me? Should I be working in Illustrator instead of Photoshop? Hey Alysa! Congrats on your side project! If resolution’s an issue, your scanner should have some different resolution options to scan your work in at (might have to look for them) – the highest res I can go with my basic printer/scanner combo is 600ppi which has always been more than enough for me. If you’d like to experiment with something outside of that, you could try vectorizing your watercolors to see what kind of results you get/how you’d feel about that outcome on your stationery. Here’s a tutorial on that 😉 Best of luck!! Thank you so much. I really appreciate you taking the time to write back. I’m going to save up for a good scanner! Do you think it’s smart to get a separate printer and scanner or would I be okay printing greeting cards and prints on a combined printer/scanner of that resolution? Just trying to be as economical as possible without compromising quality. PLEASE PLEASE PLEASE add more freebies…. Is there any more? BTW amazing job Tessa!!! opps spelled your name wrong teela! Hello! can we change the colors of these watercolor textures? For example, can I change the colours from red/orange to purples? I tried hue/saturation but I am not getting different colours, I am only getting single color in a different shade..
Hi, may I know if there is any simple way to do this in illustrator? Thx! thank you sooooo much ALL the way from India, for these fantastic freebies and all your tutorials. I am an artist and not very technically sound- so these have been/will be a great help with my projects and blog. Am going to be one busy bee trying out everything in yr tutorials. Awesome! I’m so glad they’ve been helpful 🙂 Thanks for checking em out! Is it possible to change the color of the watercolor to match a specific color? I like to draw pen and ink illustrations and would like my watercolor text to match the colors in my pictures. I’m a traditional artist, but I am learning Photoshop and digital applications. Also, were there one or two free textures that I can fool around with first? You had mentioned this in your video, but I couldn’t find these. Thanks for your help! Thank you Teela for your great tutorials… you’re a great teacher! All my best to your business and continued success. I am so glad I found you, Teela. I really enjoy your posts and tutorials. That said, will you consider creating black watercolor textures (whether as a freebie or product)? Hi Teela, can I ask whether it is possible to increase the intensity of the color (I want them to be darker) of your watercolor textures? I am still a beginner in photoshop and will be grateful for your help. Thank you! Love your site and all your tutorials — as a fellow Atlanta native, you have been the biggest lifesaver in launching my online dreams! I have a quick question when adding the vectorized watercolors — is there a way to add the watercolor texture to vectorized hand-lettering? Or is it not possible? 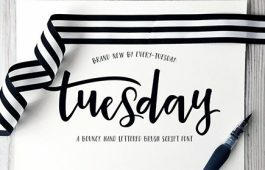 I’ve been trying to create my own cards with custom watercolor and hand-lettered text but can’t figure out how to make the clipping mask (or if that’s what needs to happen) or if I’m saving my vectorized text / watercolor texture incorrectly? Thank you for your tutorials. They are so helpful to me, a novice at Photoshop and Illustrator! I’ve just watched a couple of your videos and am enjoying them very much. I’m a professional photographer (although my background is in CS – I went to school with Tom Knoll who wrote Photoshop; I had the beta copy circa 1989). I wanted to mention that working color space should be the largest possible for editing then be converted to match the output color space. Many consumer printers (and some professional printers) print in RGB. For example, my professional printer is RGB but handles a large RGB space so I photograph in RAW then use ProPhoto RGB as my working, as well as my print, color space (I have an ICC profile defined for my paper). If a printer is printing in RGB and you convert the file to CMYK, the colors may shift since the color spaces no longer match: colors outside the target space will be redefined without the conversion software. Totally agree and very familiar with that commercial aspect. Many of my viewers diy and print at home or are just getting familiar with color, so many of my tutorials are more focused for their specific needs. Trying my best to avoid overwhelm since color can be such a rabbit hole. Definitely agree I should mention the importance of RGB print files more though! I can’t get the download to work for the 3 free textures. Has it been turned off? Wonderful textures, thanks for sharing.